If you ever wondered how to display intervals, for instance those generated by graph analysis or task log reports, well this post is for you. 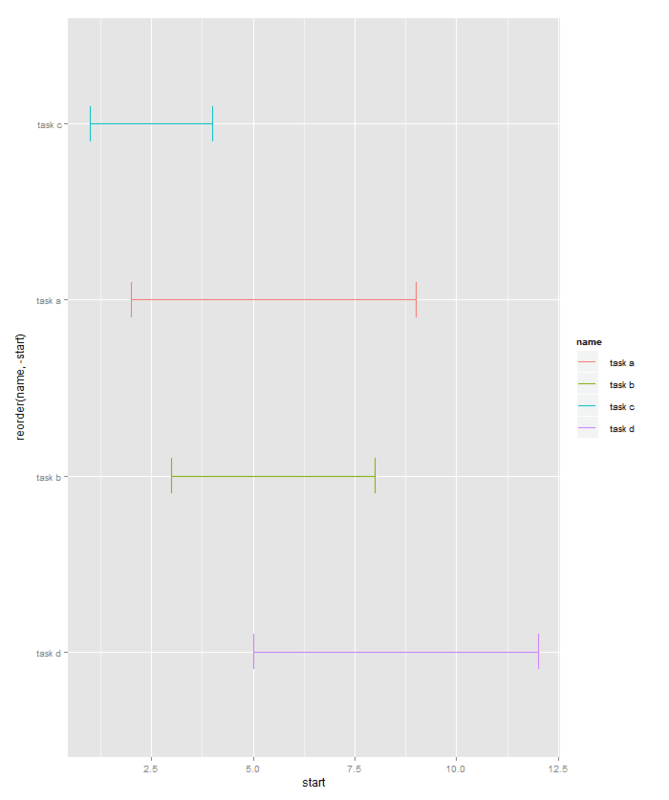 It is possible to graphically display intervals using R and ggplot. From there on all the statistical analysis tools available about how to further interpret the data is at your disposal.